Rich soil with plenty of compost added. Fortnightly liquid feed from mid summer onwards. Sweetcorn, Melon, Squash, Beans, Monarda and Oregano. Sow under cover in pots in mid spring. Transfer to larger pots if necessary. Plant out in late spring when no danger of frost. 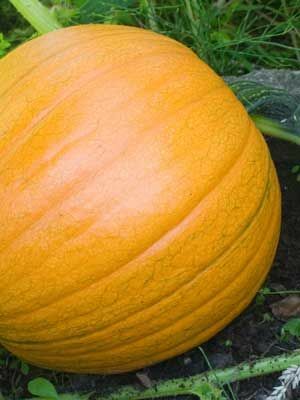 Towards the end of the summer raise the pumpkins off the ground by putting a piece of wood or similar under them to prevent rotting. Water roots generously in dry weather. When the plant starts to die cut off the pumpkins leaving part of the stalk attached. Allow the skin to harden in the sun for a few days if wanting to store them in a frost-free place.